Рrof. Andrey Terekhov founded and has directed Lanit-Tercom ever since we began back in 1991 as one of the very first IT companies in Russia. To this day we are a leader in the international market for IT tech and systems built on complex mathematical programming. Our focus, however, is on reengineering complex systems; developing and supporting purpose-built equipment, software, and IT systems; digital audio and video processing and information security. Lanit-Tercom actively participates in the government-aided Peterhof-Naukograd program aimed at creating an IT park of St.Petersburg State University. Prof. Andrey N. Terekhov, Founder and President PhD in Computer Science (1978, Compiler writing), Habilitation Thesis (1991, Software technology). Professor of Saint-Petersburg State University, Head of Software Engineering Chair. Member of ACM and IEEE Computer Society. Member of RUSSOFT Board of Directors (Association of Russian software enterprises). A graduate of Saint-Petersburg State Technical University’s economics and production management program. After beginning his career in 1994 as a regional manager, he has held a variety of upper-managerial positions in companies around St. Petersburg beginning in 1996. 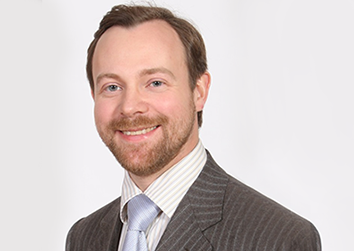 At various stages of his career, Igor has worked on business development, strategic planning, sales management, and major public-private partnerships. His expansive managerial experience includes a position at the top of a service company he held for eight years. For the last seven years, he headed up a large development company working in construction, while 2018 marks the beginning of his tenure at Lanit-Tercom. 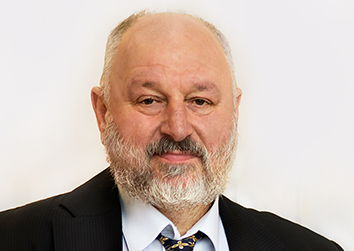 Having started his IT career as a computer programmer in 1994 in SE Tercom, today Mr. Ufnarovskii is a successful manager with many years of IT top management experience. Mr. Ufnarovskii graduated with honours from St. Petersburg State University in the field of Computer Science. In 2004 Vadim graduated with honors from the mechanics and mathematical modelling faculty at Saint Petersburg State University. His career at Lanit-Tercom began in 2001 with a stint as a junior developer, though by 2009 he was in charge of the telecommunication department. In 2016 he shouldered responsibility for the company’s entire production department. Companies can only be successfully when they have talented, passionate, and professional people working for them. Our developers and project managers orient our variety of complex projects around the needs of our clients. The staff at Lanit-Tercom are well-versed in the technical knowledge most needed in today’s market: client/server architecture, networking, object-oriented technologies, relational database development and administration, internet solutions and web services. They are more than comfortable leveraging both traditional and cutting-edge software development technology. At the core of the Lanit-Tercom team are graduates of the Mathematics and Mechanics Faculty at St. Petersburg State University. Even after graduation, they still go back and actively participate in the education process by offering specialized classes, managing coursework, and overseeing thesis projects. Lanit-Tercom specialists also organize student programs, summer schools, and internships. The company’s employees are also involved in scientific work, regularly publishing the results of their research. Most of them have earned scientific degrees at leading Russian universities, and they regularly attend training seminars and earn additional degrees in order to continually boost their professional competency. Lanit-Tercom puts all potential hires through a rigorous selection process, and we are proud to point to our team as some of the industry’s brightest minds. LANIT – "LAboratory of New Information Technologies"
LANIT – "LAboratory of New Information Technologies" – a leading multibusiness group of IT-companies in Russia and CIS. Today LANIT is Russia’s largest system integrator and a key partner of more than 250 major global producers of hard- and software solutions in the field of High-tech. The companies of the group provide a full package of IT services, the number of which steadily increases due to developing advanced and most required technologies and solutions. The group includes 41 regional branches, subsidiary companies, resource and training centers in Russia, Belarus, Latvia and Canada. Consortium unites major players in the IT market of Russia, Ukraine and Belarus. The association was formed with the view to defending the interests of software companies in the government of the Russian Federation. RUSSOFT lobbies for more government participation in the development of the IT sector by lowering taxes, improving applicable customs legislation, creating a chain of IT parks, as well as by supporting the association’s international projects. Among Lanit-Tercom’s long-time partners are Software Engineering Chair of St.Petersburg State University and IT Research Institute of St.Petersburg State University. The Software Engineering Chair is a fast-developing department that trains specialists in such areas as programming for OS and compilers, system integration, developing information systems, programming for real-time systems (including embedded ones), software reengineering, and data encryption. IT Research Institute of St.Petersburg State University is involved in conducting fundamental and applied research in the areas of software engineering and IT, dispersing knowledge and introducing effective programming methods into the industry, as well as carrying out science-intensive software development projects. EY is a global leader in assurance, tax, transaction and advisory services. Among the clients of EY - the world's leading companies from various areas of business, corporations, non-governmental and governmental institutions. Today EY is the largest international firm providing audit and consulting services in more than 150 countries. With the opening of the Moscow office in 1989, EY was the first professional services firm to establish operations in the Russia and the Commonwealth of Independent States (CIS). Over the past 25 years EY practice has developed into the largest network in the CIS: a network of 21 offices in nine CIS countries, staffed by 4800 specialists.